Over the past few months, a new trend has emerged at the U.S.-Mexico border: more families are crossing and presenting themselves to U.S. officials to ask for asylum. But even though the number of people crossing the border are still at historically low levels, the Trump administration alleges it is overwhelmed by the arrival of families. These changes in migration patterns have exposed Customs and Border Protection’s (CBP) inability to respond in a humane and effective way. 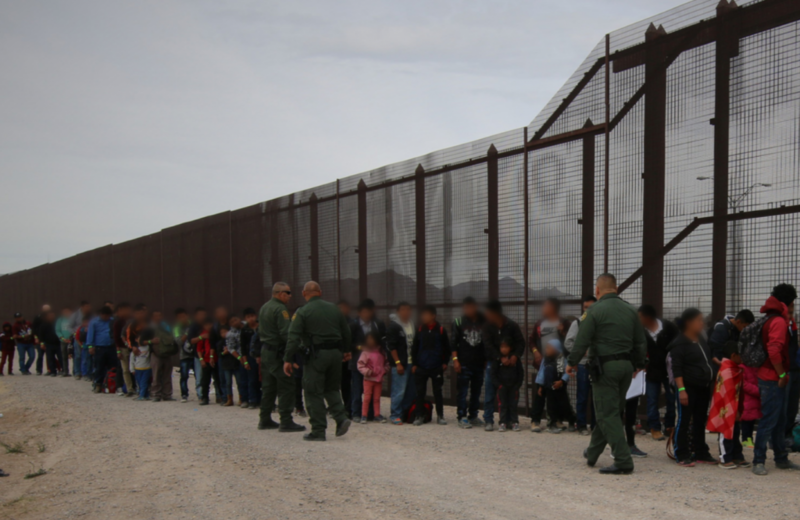 In February 2019, the Border Patrol apprehended 66,450 individuals after crossing the border. This number represented the largest number of arrests at the border in years. However, it was only 5,000 higher than a similar spike in overall arrivals in spring 2014. During that last spike, only 38 percent of people arriving at the border were families and unaccompanied children. Last month, that percent rose to nearly 65 percent—42,999 in total. This is the largest number of families apprehended at the border in one month since the government began keeping records in 2012. CBP border stations were originally created to receive, hold, and process single Mexican adults who were more quickly returned to their home country. In the past, many families were detained in these stations for days at a time, where they suffered freezing temperatures, lack of hygiene, and inadequate medical care. Many would then be transferred to family detention centers, where they were locked up with their children for weeks or months. But now that more than half of all border crossers are asylum-seeking families, in recent weeks the government has started to release families along the border, citing a lack of capacity. Government officials are not legally required to detain asylum-seeking families. Officials have always had the discretion to release or parole into the country those who come to the border with instructions to appear at an immigration court for a removal hearing at a later date. Yet CBP has presented its inability to hold everyone in detention as a crisis. Days after President Trump took office, he issued an executive order which required CBP to reduce the use of humanitarian parole. Following this executive order, CBP increased the use of detention at the border even for individuals who were not flight risks, partly to deter other families from coming. This inhumane practice caused concrete harm to those forced to remain in immigration custody for long periods of time. Although the agency claims to be overwhelmed, it has had to deal with large numbers of children and families in the past, including in 2014 and 2016. Instead of coming up with solutions to care for children its custody, CBP doubled down on detention and deterrence. By shifting to more readily releasing families now, the government is recognizing that it can’t detain its way out of the current situation and that release is a viable option. Most of the recently released families will end up appearing in immigration court and seeking protection, as is their right. By avoiding the use of detention, CBP is saving taxpayer money and choosing not to subject asylum seekers to harmful detention which deprives them of access to counsel and limits their ability to obtain relief. The rise in family apprehensions masks the reality that the border is more secure than ever. With Central Americans making up more than 90 percent of individuals apprehended crossing the border, the days of large numbers of Mexican immigrants coming across the border for work is almost gone. New studies show that with improving economic conditions and a resurgence in national pride, few Mexicans are interested in traveling to the United States. Faced with these new migration patterns, the Trump administration must recognize that rising border apprehensions do not present the same challenges as in the past. To address the changes, the administration should invest in better infrastructure, including ensuring that families and children are not subjected to deplorable conditions while in CBP custody.